Gorgeous! 8′ L x 2′ D x 2′ 6″ H 310 gal. 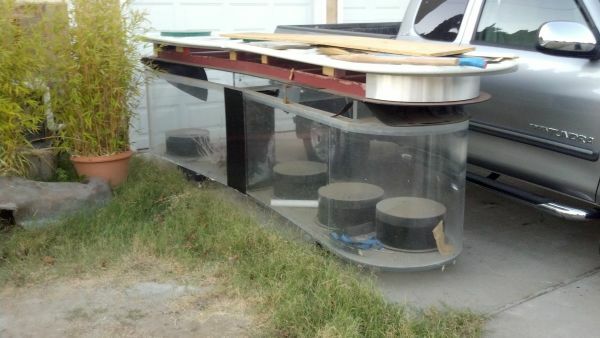 Glass,Aquarium,Fish Tank With Stand. 3/4″ thick glass. Dual overflow. Dolphin Ampmaster 3000 gph pump with abrasive proof shaft seal. Large wet dry filter. 1.5″ plumbing. Gamma UV Sterilizer 80w.Underside of hood has Diamond Plate with 2 x 40w Coral Life 20,000k fluorescent lights , 2 x 40w Coral Life Actinic Blue fluorescent lights, 6 Coral Life dual moon lights. Inside has Caribe Sea Aragonite Reef Sand and Florida Crushed Coral 5″ deep. 100+ lbs. real coral. Current set up is freshwater however, add instant ocean and presto! Salt water ready. 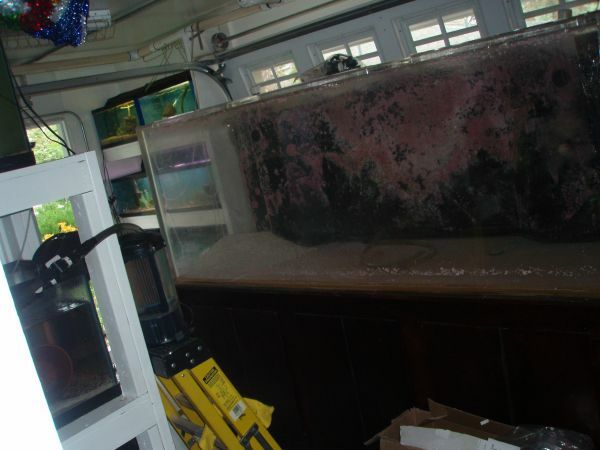 7 Venustus African Cichlids Included. The Stand was custom made from solid hard pine hand stained. This is truly a unique and beautiful setup. no emails calls only 631-445-8822 no lowballed prices like 500. That’s how much the tank cost . It’s heavy and could move for a price but looking to have it just removed . Only 100gal., I know, but thought it unique! Reeflo snapper water pump rated for 2500 GPH, new it’s worth $300 alone on Amazon. Complete: 101 inches longs, 27 inches wide, and 78 inches tall. 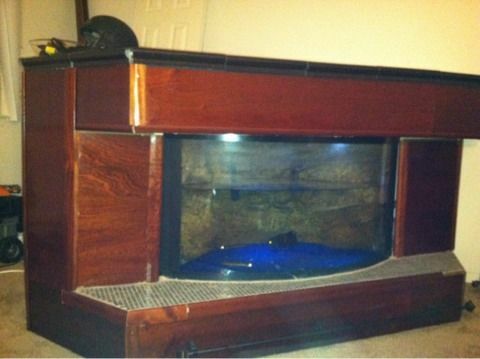 Tank is $1300 OBO. 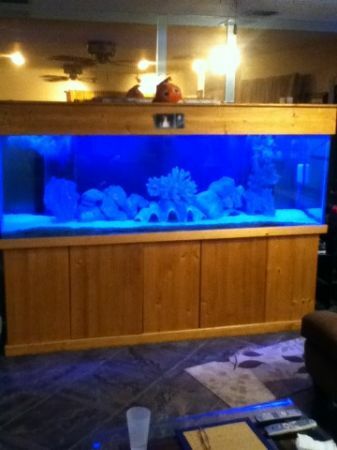 Possibly open to trades of equal value, but not aquariums. The aquarium has dual overflows on the sides of the aquarium. Canopy is tall to accommodate any lighting preference. 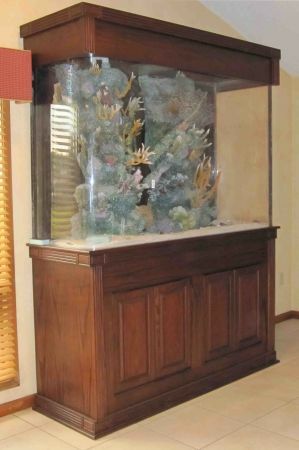 This is an aquarium that will mesh well with any nice furniture. 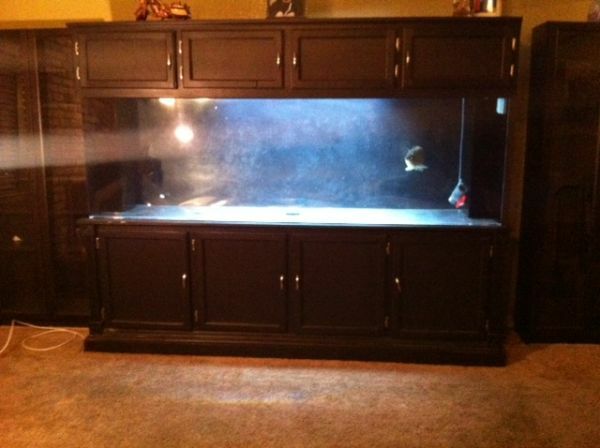 Will need a few people to lift the aquarium. Custom curved tank with rounded corners. 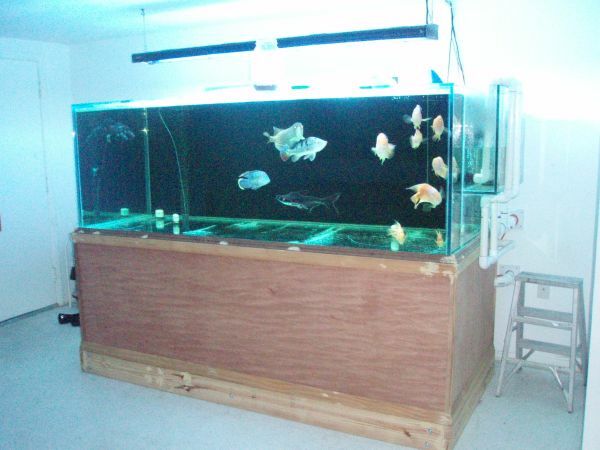 Comes with new protein skimmer, 140 gallon sump and dolphin return pump. No stand or canopy. Great condition with inch thick acrylic. Will NOT negotiate! Price is firm! Dimensions are 12.8×2.5×2.5. Text 714-504-7727 for more info.